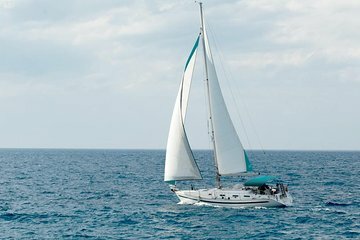 Take a break from the resort crowds and get offshore for a while on this chilled-out sailing excursion around Mykonos. Choose a trip to the beaches on the south coast of this idyllic island or head west to the Delos, an important island in Greek antiquity with plenty of ruins to explore. Either way, whether you’re swimming, snorkeling or discovering sites from Greek mythology, what you do is entirely up to you – there are no rigid schedules on this cruise.